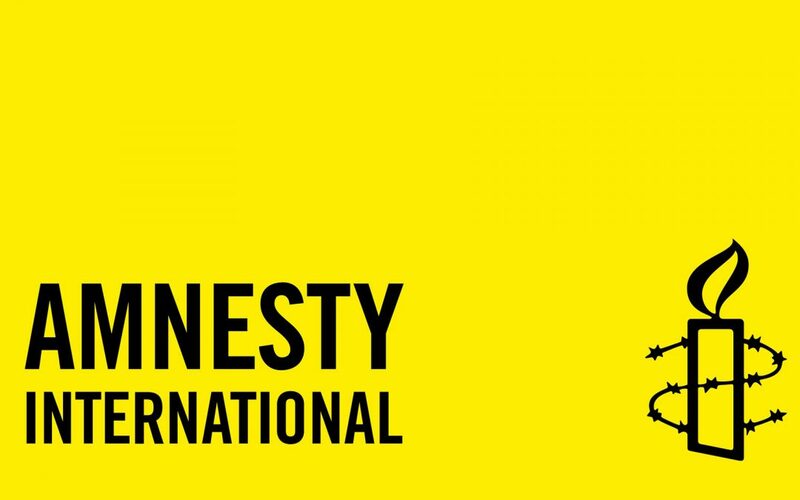 The London-based human rights organization Amnesty International has launched a campaign for urgent action against Turkish government’s tightening control over media outlets. Below is the statement released by the rights group on Nov. 8. “Nine journalists and board members with the Turkish opposition newspaper Cumhuriyet were imprisoned on 4 November pending their trial. This brings the total number of imprisoned journalists and media personnel to 112 since the 15 July coup attempt. As with other journalists and media workers within dozens of opposition media outlets, they are facing trumped up terrorism charges. Some of the 112 journalists and media personnel have been held in pre-trial detention – which is routinely applied, arbitrary and punitive in nature – for more than three months. The imprisoned journalists work for opposition media outlets across the political spectrum, ranging from publications linked to Fethullah Gülen, a USbased cleric whom the government accuses of masterminding the coup attempt, to Kurdish, secular or leftist publications. Journalists stand accused of links to the “Fethullah Gülen Terrorist Organisation” as referred to by the government, the armed Kurdistan Workers’ Party (PKK), or both. All imprisoned journalists should be immediately released from arbitrary pre-trial detention and have the charges against them dropped unless the authorities can present credible evidence of internationally recognisable criminal offences. On 27 July 131 media outlets accused of links to Fethullah Gülen were closed down by executive decree no. 668 on the grounds that they “threaten national security or had links to terrorist organizations”. Another 23 mainly opposition Kurdish and leftist media outlets were closed down on 28 September and a further 15 on 29 October (this last group by executive decree no. 675). Closed media include the Taraf daily that exposed human rights abuses, especially by the military, Nokta magazine that specialized in in-depth investigative reporting, Azadiya Welat, the only national Kurdish language newspaper in Turkey and the JINHA Kurdish women’s news agency. Calling on them to revoke executive decree no. 668 and 675, and reinstate media outlets arbitrarily closed down. Attacks on freedom of expression and the media are some of Turkey’s most intractable human rights violations, repeated over decades under successive governments. There has been a marked deterioration in the situation over the last three years with the concentration of media ownership in the hands of media companies with close business links to the government and the use of criminal charges to silence dissenting voices, leading to an increasingly compliant media. The authorities have launched thousands of unfair criminal prosecutions, including under criminal defamation and anti-terrorism laws, and targeted political activists, journalists and others critical of public officials or government policy. People have been frequently brought before the courts for social media posts. In March 2016 the authorities appointed a government trustee to the opposition Zaman media group on the basis of an ongoing anti-terror investigation, imposing a pro-government editorial line to the titles. On 15 July, an attempted military coup was unsuccessful in part due to people going onto the streets to oppose the tanks. Authorities announced the death toll to be 161 with over 100 coup plotters also killed and over 1,150 people injured during a night of violence. Attacks on opposition media accelerated significantly after the 15 July coup attempt. On 21 July, the government declared a three-month state of emergency which was renewed for a further three months on 19 October. Over 110,000 state employees have been removed from public service, including 48,500 teachers, academics and other Ministry of Education employees, and over 7,000 judges, prosecutors and other employees within the Ministry of Justice. Under the state of emergency, fair trial protections and crucial safeguards against torture and other ill treatment have been removed, putting at risk the rights of detainees. These measures risk violating the absolute prohibition in international law against torture and other cruel, inhuman or degrading treatment. The application of the state of emergency provisions also enable sweeping arrests, where those detained are prevented from challenging or seeking redress for human rights violations. Turkey is obliged under Article 19 of the International Covenant on Civil and Political Rights and Article 10 of the European Convention on Human Rights to guarantee the right to freedom of expression, which includes the right to seek, receive and impart information and ideas of all kinds. The only permissible restrictions they may impose on the exercise of this right are those which are demonstrably necessary for the protection of national security and public order and public health or morals and the protection of the rights of others and are proportionate to the stated purpose; they must also prohibit propaganda for war and advocacy of hatred constituting incitement against people. The group also shared addresses of the Turkey’s Prime Ministry and the Parliamentary Commission on Human Rights in order for those interested to send appeals.